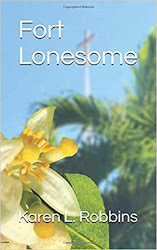 Long before they were labeled snow birds or snobirds, people flocked to Florida to escape the winter cold. 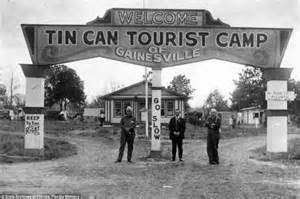 Back in the early 1900s, they were called Tin Can Tourists because of the heavy metal gas and water cans they carried on their automobiles and the canned foods they carried with them. While some were looking for cheap Florida real estate deals, most were just tourists and middle class. The hotels and restaurants in Florida at the time catered to the wealthy Victorian tourists and so most of the middle class Tin Can Tourists brought their own accommodations in the form of tents. 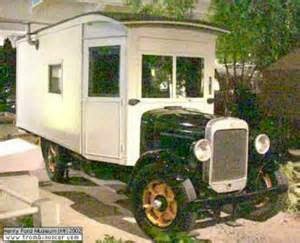 Some even modified their Model Ts to be used as campers. Some just modified with a canvas topping. Others even included small kitchens. These were the first RVers. It was said of those early tourists that they would "arrive with in a clean shirt with a quarter in their pocket and never change either." A nice way of saying they were cheap? Enterprising Florida residents began to see a market and started offering their land for campers for a fee and some even began building some cabins to rent to tourists. Roadside stores sprang up featuring food stuffs and the all important bug repellents. 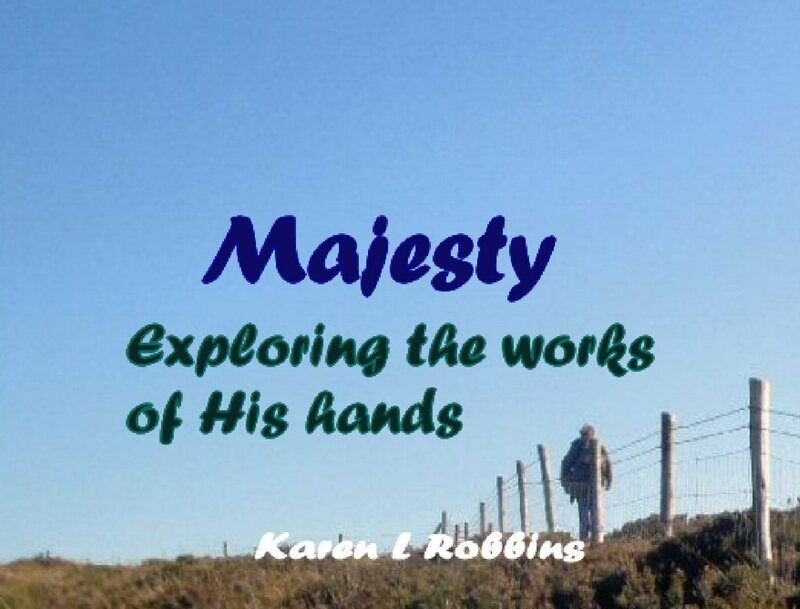 Could even Mr. Disney have imagined the changes that would be wrought between those early days and the present?